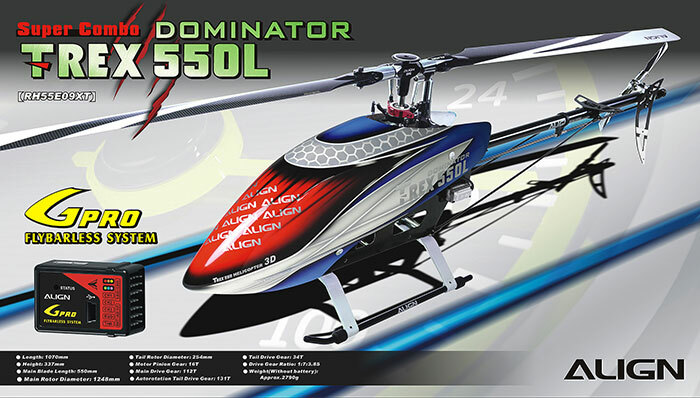 With a size that fall in-between large and small models, T-REX 550 features stability and agility which is the most popular model for pilots in all classes to practice. 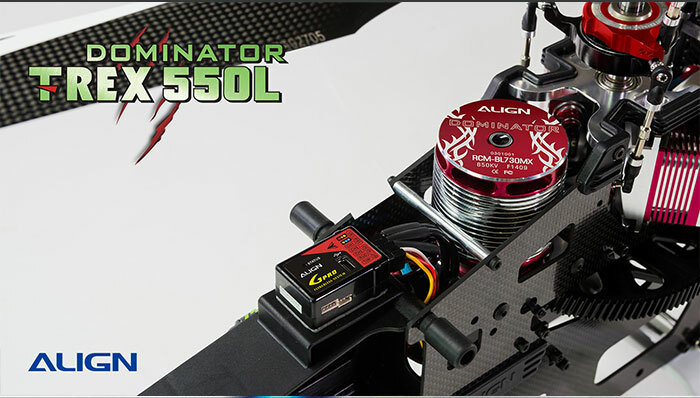 Now T-REX 550L Dominator inherit with all outstanding design concepts and much superior power supply that will guaranteed jaw dropping performance. 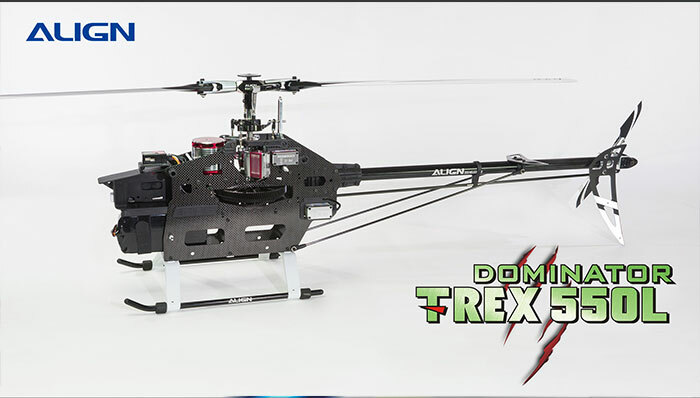 T-REX 550L firstly utilizes composite material integration technology on carbon side frame plates, also adding battery mounting rails and top mounted motor base design make assembly easy and protectable. 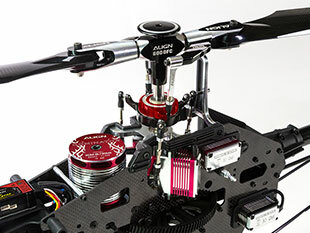 Designed with direct servo CCPM control, and a single piece main bearing block with integrated servo mounts; plus equipped with the low CG DFC rotor head, exhibits exhilarating 3D performance and unimaginable flight speed. 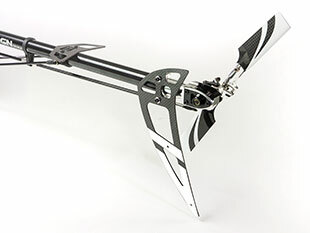 High quality new tail gearbox design, combined with new dual point mounted tail pitch control assembly to minimize slops and increase rudder control precision. 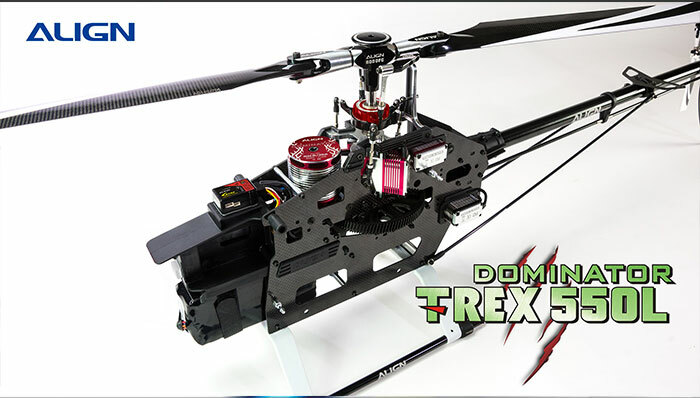 T-REX 550L Dominator equipped with 730MX 850KV motor with unique DOMINATOR painting scheme and extremely efficient and powerful output; brand new high voltage brushless BL815H/BL855H servos features with high torque and super efficiency reaction and higher precision; also keep extremely low temperature after flight not only can extend the service life but also be the favorite ones for all our factory pilots. 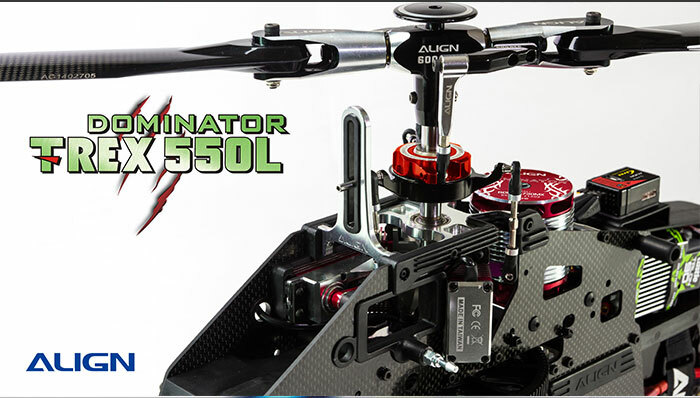 The most important upgrade should be Gpro flybarless system, all the up-to-date devices are all included, must be your best choice to try on, just don't miss it and get a T-REX 550L Dominator right now. 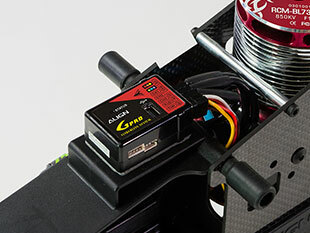 Designed with direct servo CCPM control, and a single piece main bearing block with integrated servo mounts similar to that of T-Rex 700L, for simplified servo installation and clean aesthetic. 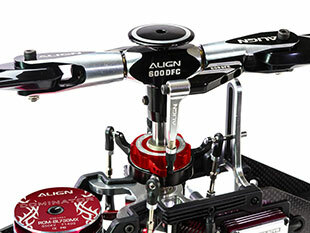 ALIGN new multifunctional Gpro flybarless system with active CPU, processing 20 times faster than previous generation. The freshly new software structure improves system compensation, bring Gpro up with precise and agile response, and also keep up-to-date flying performance than ever. 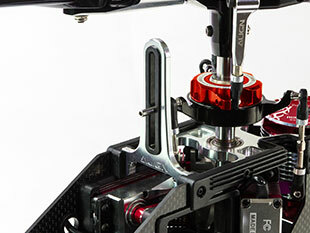 Innovative sliding battery tray rails imbedded into the 3K side frames, with patented spring loaded latching mechanism, allowing for quick battery access as well as battery protection. 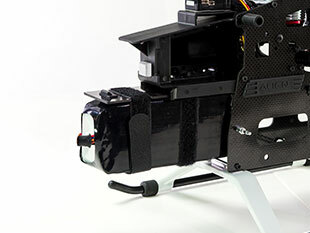 Carbon side frame plates utilized composite material integration technology, adding battery mounting rails.The clever use of open spaces within the frame resulting in a structure that is both rigid and aesthetically pleasing. 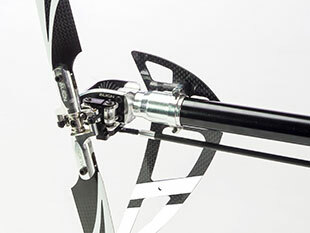 High quality new tail gearbox design, combined with new dual point mounted tail pitch control assembly to minimize slops and increase rudder control precision.